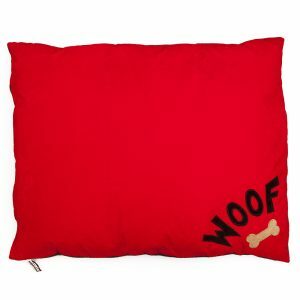 The dog doza in the photograph is a large. 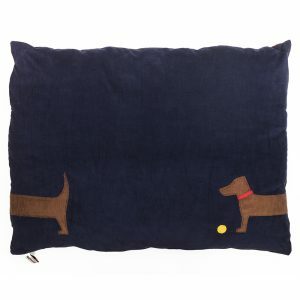 This bed has a denim top with a big hand sewn applique WOOF in red faux-suede and a snuggly red polar fleece underside. 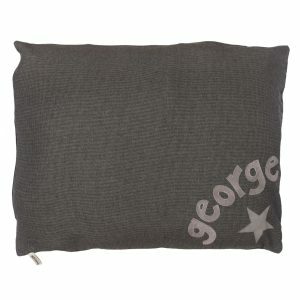 The bed has a loose cover with a zip and is filled with 2 separate super squishy duvets, all fully machine washable. 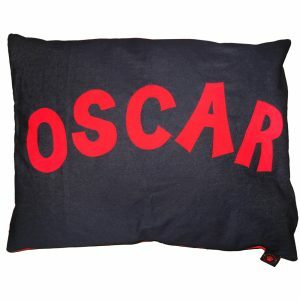 Sweet dreams! 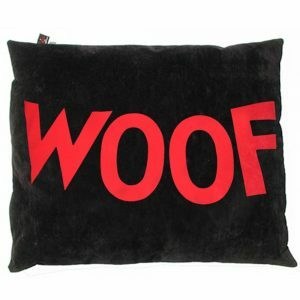 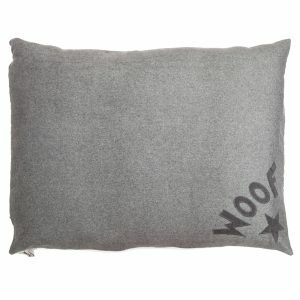 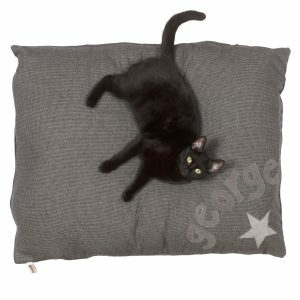 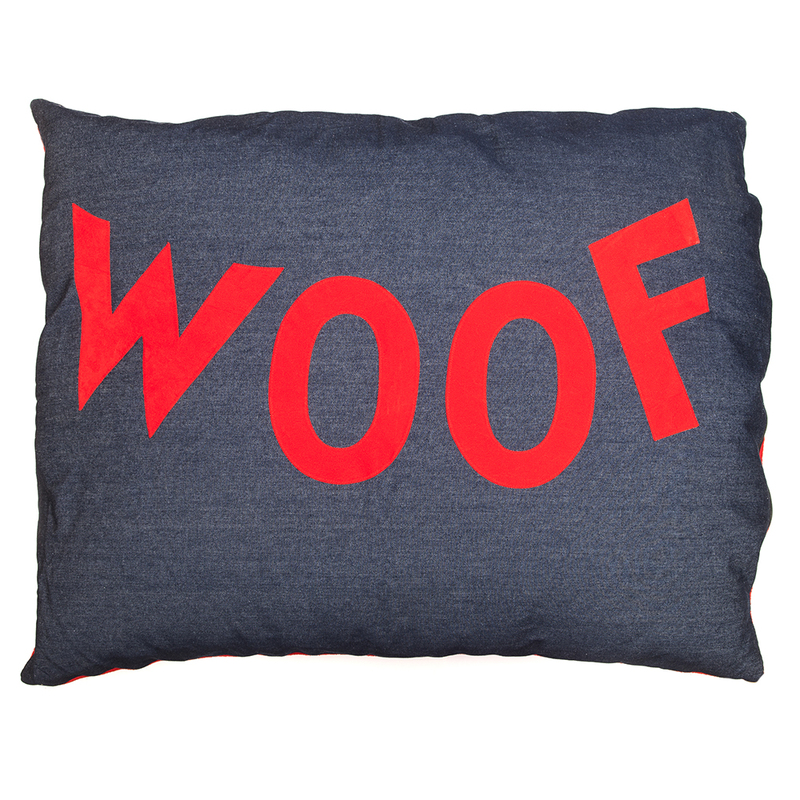 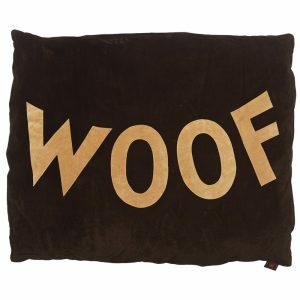 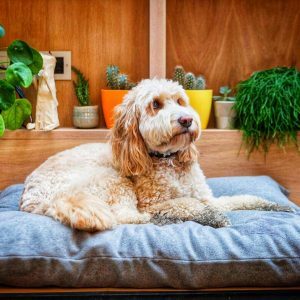 This dog bed has become something of a Creature Clothes classic over the years – our trademark almost! 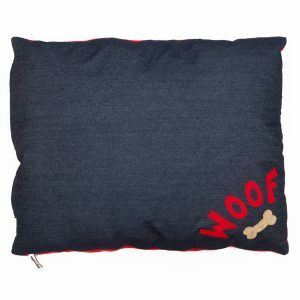 It is one of our best selling and most dearly loved lines.